The dream of Shangri la or an Independent Tibet remains a distant but obvious one. The heart of every Tibetan, who has a very strong inclination toward their roots, is filled with angst against the Chinese subjugation. They dream of an independent Tibet where they can practice their religion, their culture and this feeling of nationalism hasn't been deterred by any occupational external threat, especially from those who 'just want the land not the people'. For the unaware, Tibetan culture is very unique and different. They have their own set of customs which make them different from the Chinese. Despite having a huge number of diaspora in thirty plus countries, their culture hasn't been hindered or diluted. What is it about Tibet? Since ancient times, the Tibetan plateau was enjoying its sovereignty and good relationships with different countries. The famous silk route was one of the prominent trade points of every nation. In the year 1959, the Chinese government led by Mao began an assault on the Tibetan kingdom which led to a series of fierce fighting between both parties and resulted in genocide of tens of thousands of innocent Tibetans. Around twice the number left the chaotic region and moved to the neighboring countries. Eventually, Tibetans were unable to withstand the Chinese assault, and they surrendered, realizing the imperialistic desire of Mao. The Chinese intentions were such that they wanted to abduct the spiritual guru, His holiness Dalai lama but were unsuccessful as the Tibetan guru in disguise fled the country taking asylum in India in Dharamshala where he is still there and running the government in exile with the help of Indian authorities and his staunch followers. Since then, there have been a series of cases of human rights violation in Tibet and its ironical that while there are strong evidences of it, nothing has been done so far, even by the United Nations. Self-immolations of Tibetan monks, farmers and student altogether has become a common phenomenon. The capital, Lhasa, has become a highly fortified town and one of the highly militarized zones in the whole world. 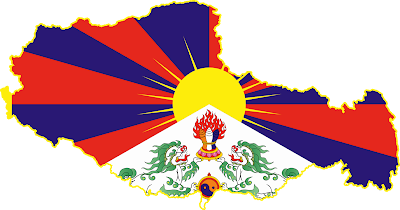 Without Beijing’s permission nobody is allowed to visit there, foreign media is banned, and the Tibetan people who are holding high positions in the Chinese government and are loyal to the state are also subjected to discrimination. Even to visit Tibet for family reunification, the Tibetan people living outside find it very cumbersome. The Chinese government is highly skeptical about every outsider visiting Tibet and hence most of them generally give up. Because of the Chinese military and the faltering economy most countries are reluctant to step in and the native Tibetans are dying a slow death from the oppressions of Chinese. World powers have been silent on these issues as they might face the ire of the Chinese government which will effect economic as well as the Geo politics of the countries. As we, the people of a humanely united world, we should do something which can stop this mayhem and make the world a more peaceful to live. One of the most famous and beloved Presidents of U.S.A Mr. Abraham Lincoln once said “Force is all conquering but it's victories are short lived”. The expansionist policy of any country will not be successful in a long run someday and it will for sure backfire. Motto of “live and let others live” should be followed by every human civilization.